The last time Lucy Kibaki appeared in public, she danced to Emmy Kosgei’s Taunet Nelel. In the years since that day, she disappeared, only reappearing as a subject in 2012. There was concern for her health, half-heartedly expressed because of that nagging question whether the President’s spouse is public property too. 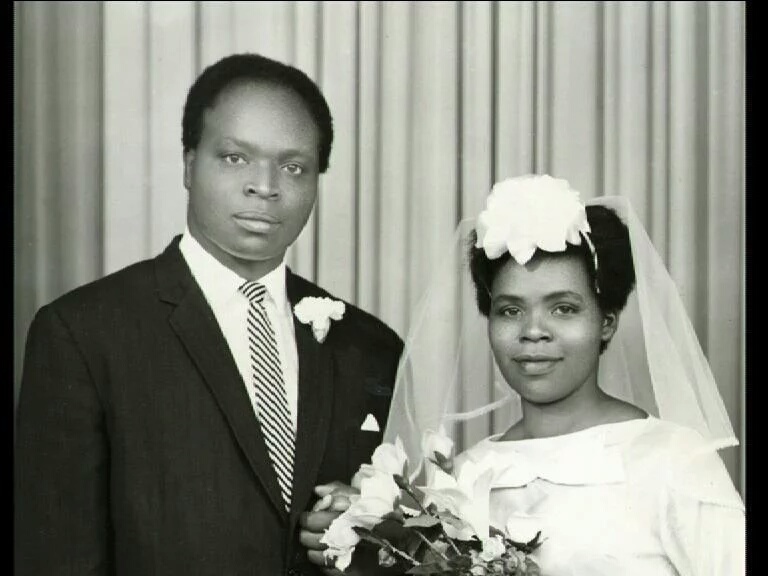 Lucy Kibaki was Kenya’s first true First Lady. Her predecessor, Mama Ngina, had never occupied State House because her husband preferred his Gatundu home. They had an arranged marriage built on respect rather than love. He was more than fourty years older than her and was known for his dictatorial control in both his domestic and public roles. His two kids by his first wife, Peter and Margaret, were older than their step mother and had more sway in his court. The story of Lena Moi, Kenya’s would-be second first lady is a sad story of a woman whose life was ruined by her choice of husband. After she was divorced, she became her ex-husband’s prisoner. She never had a chance to define or even occupy the office. Lucy Kibaki understood the role she was walking into very differently. Unlike her only predecessor, she would not be an advertorial wife. She and Kibaki were a team. Because he was seen as a weak leader, as General Kiguoya, she was his enforcer. Then she was enforcer of her own agenda. She was not just the president’s spouse; she was co-president. But she was not quite ready to become a public woman. She soon learnt that she could no longer make impromptu shopping trips without bringing the city to a standstill. Her actions and words now made national news, and she was no longer a private citizen living on Tchui Road in Muthaiga. She routinely summoned public officials to question them on matters of policy and execution. After the Sanchang’wan oil tanker fire, she publicly derided George Saitoti for what she saw as his failure to offer a long-term solution. Kibaki had to issue a statement later explaining that he still had confidence in his Internal Security Minister. But she made more headlines for her violence and abuse of power. Lucy Kibaki was a violent woman. She was violent, abusive, abrasive, and entitled. There is simply no other way to say it. She must also have been a warm, loving and deeply caring individual, at least at some point and to some people, but she chose to be feared by the public rather than to be loved. She instilled a sense of fear in the press comparable to a dictator’s, one that even today, mixed with the sense that we shouldn’t speak ill of the dead, has held us back from properly analyzing the impact of her legacy. Was she a strong, grossly misunderstood person? Or was she seeking a controlled narrative of her public image? Make no mistake, what Lucy Kibaki did at Nation House in May 2005 on, ironically, World Press Freedom Day was a siege; a pure act of intimidation. She invaded the paper’s newsroom with bodyguards and senior police officers and held everyone there hostage for more than five hours. What followed, quite bizarrely, is a classic case of Stockholm syndrome. If you watch the video of the siege, which she herself later described as an “attack”, you see a very concise image of our second First Lady. The video starts with her chasing photographer Joseph Matheng’e. She also confiscates pens, cameras, and phones and shuts down computers. At some point, she notices Clifford Derrick recording her and walks towards him. She slaps him and then goes for his camera. You can hear him begging her to stop. The cops and her bodyguards cannot help him because they value their jobs, and yet he can’t physically fight back because that will mean certain death. Clifford Derrick was on his own. When she invaded Nation House, Lucy Kibaki wanted John Muchiri and Phillip Mwaniki arrested too. From most recollections of journalists who were in the newsroom that night, one gets the sense that they saw her as a wounded human being who needed protection. They soon stopped reporting on Clifford’s quest of justice and unofficially agreed to “treat the First Lady with respect.” They rightly recognized a few things. One was that they had been using personification framing on the First Lady. Framing gives prior knowledge within which new information about a person is understood. With Lucy, that frame was the stereotype of a Nyeri wife: abrasive, stubborn, and in need of anger-management therapy. The other was that with Lucy, there was something more than internal turmoil at play. It’s hard to get a definitive answer on Lucy Kibaki’s struggle with depression and possibly bipolar disorder. Even today, her mental health is still a matter of pure speculation. Each outburst would be followed by long periods of unnerving silence. She would be excused because she was “Mama” and because she was in need of our love and understanding more than our criticism. The President would say nothing of it, and everyone else would follow suit. The entire country became afraid of the President’s wife’s outbursts. 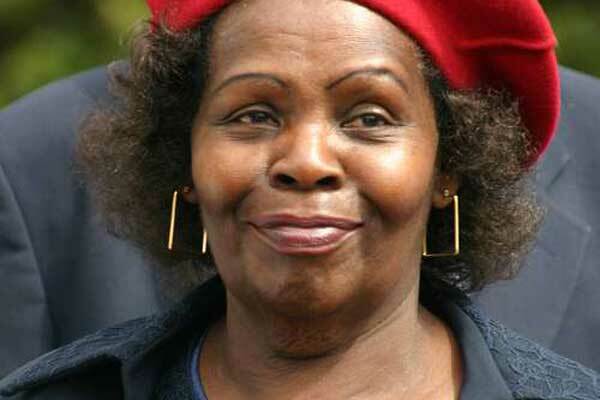 Lucy Kibaki’s history of outbursts and violence precedes 2002. Anecdotal evidence from her neighbors and family friends shows a pattern of outbursts and sometimes physical violence. Everyone around her privately excused her outbursts as the acts of someone with mental health issues, and instead chose to clean up after her.? In 2007, Frank Musyimi made the mistake of calling her “Lucy Wambui” at State House. She walked up to him, slapped him, and calmly walked back to her seat. Presidential security then swooped in and temporarily arrested him. Only one independent media camera caught the physical assault. The journalist was arrested and the video deleted. We only know it because it was corroborated by the tens of people who were there that day. Of it the president said nothing, and everyone followed. The victim of the attack was not even named in most news stories. Only two victims of her violence ever publicly fought back, and they suffered for it. Clifford Otieno sued the First Lady for assaulting him and destroying his camera during the Nation House siege. For that, he was harassed and physically attacked several times. His neighbors saw several people try to break into his house, and one Cabinet Minister tried to bribe him. With threats to his life and family, Clifford eventually went into exile in South Africa. The President called Gitobu that evening to apologise. Like Clifford though, he wanted an apology from the First Lady herself. An acknowledgement that she had wronged him. She never apologized to either of them. In her books, her actions were just and called for. Clifford had wronged her, as had Gitobu for supporting Clifford’s quest for justice. She was the victim. After the siege of Nation House in 2005, the Mary Wambui issue became one of Lucy’s main crusades. While Lucy got to stand next to Kibaki as he took his oath of office in 2002, Mary Wambui got influence in court and set herself as Kibaki’s successor. She had official cars, bodyguards, and flags flying above her house. 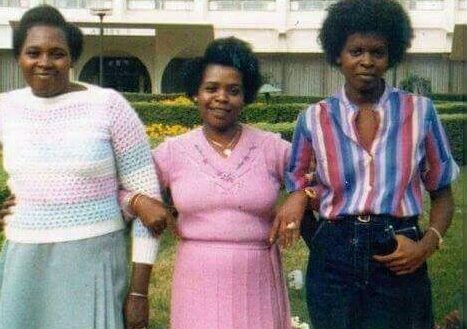 In this undated image, Mary Wambui with Lucy Kibaki and her daughter, Judy. Wambui saw herself as a second First Lady, filling in the gaps that Lucy Kibaki left. Lucy saw it as an attempt to usurp her right as a first wife, and she fought back indirectly by going after the press that gave Wambui a public image. In the pre-presidency years, Lucy had largely chosen to ignore her husband’s infidelities. Wambui was comfortable with her role as a second wife, enjoying the power that came with staying in the background. But this had now changed because they were the most visible family in the country. Wambui’s influence in Kibaki’s court led to at least two high-level demotions among the President’s staff. But since it wasn’t a secret, why did Kibaki call a press conference in 2009 to disown Mary Wambui? In the video of that press conference, he stands on the right side of the podium, talking into one microphone. It seems as if he is sharing the podium with Lucy. He introduces the subject with “You know, I know, and everybody knows I have one wife.” It was as if he was not just convincing us, he was convincing himself too. There’s something to that line “now as the president” that points to how she viewed their relationship. With his official statement, she figures, that should be a settled story. As his enforcer, she tells KTN “I almost came to attack you like I did with Nation.” It is a confusing combination of an emotional appeal and blatant threat. The story of Mary Wambui didn’t end with that press conference, and at the tail-end of Kibaki’s reign, it came full circle. With Lucy out of the limelight, her children unsuccessfully (albeit half-heartedly) fought Wambui’s succession to Kibaki’s parliamentary seat. Kibaki has acknowledged her by attending her family functions in the years after Lucy disappeared from the limelight. Lucy saw herself as a trailblazer, which she was in some ways. She struggled with the intricacies of being a public woman, and transferring her own ideas on how the public should relate with her. In how we have accepted Lucy Kibaki’s violence and public outbursts, we are missing the chance to talk about mental health. We are nitpicking parts of her legacy that sound nice and acceptable to avoid talking about the victims of her violence who are still alive. Lucy Kibaki’s legacy is that of the dangers of allowing the president’s spouse to become an unquestioned political interloper. Although he or she is, by virtue of being married to a public figure, a public figure too, that does not equal power or extra rights. Lucy’s own successor in the office of the First Lady, Margaret, chose an entirely different approach. She made maternal healthcare her most important cause, and often has a higher approval rating than the president. Lucy Kibaki’s time in the unofficial office of First Lady will always be an important lesson for future first spouses on how not to occupy that public space. It might give them a few pointers into how to define their new public space, but it will be a treasure trove on how not to do it. Featured Image from Daily Nation.